After nearly a month and a half of gruelling playoff hockey, the Stanley Cup Finals arrive this week. Entering the Conference Finals, the four remaining teams had all won the Stanley Cup each of the past four years. Hockey fans knew this year’s Stanley Cup winner would know quite well to what it takes to get the job done. 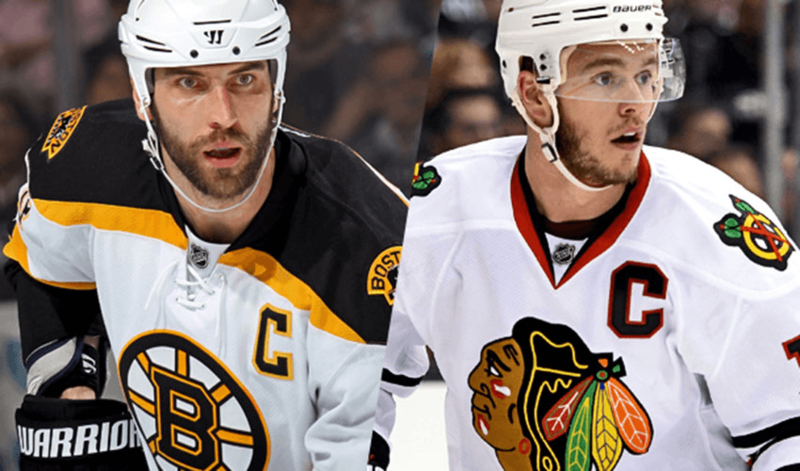 Now that the final stage is set, the two participating teams, the Boston Bruins from the East and the Chicago Blackhawks from the West, have taken similar paths to get where they are today. Both faced daunting 3-1 deficits in their series against division rivals, with both teams rallying and overcoming difficult odds to advance to the next round. Here is a look at how the two teams shape up, starting from the goal line out. Both Chicago and Boston have relied heavily on their starting goalies. Ottawa native Corey Crawford has been outstanding for the Blackhawks, while the Finnish Tuukka Rask has been as reliable as they come for the Bruins. Both Boston and Chicago’s bluelines are anchored by All-Stars, Olympians and Stanley Cup winners; there is no lack of significant hockey experience in these Finals. The Bruins’ defence is anchored by Captain Zdeno Chara, leading the way with 11 points and a +12 rating. Many of the same faces from their 2011 Championship team remain, including Johnny Boychuk, Andrew Ference, Adam McQuaid and Dennis Seidenberg, while rookie Torey Krug has impressed many with his offensive contributions. Chicago’s defense is as steady as any across the league. The foursome of Duncan Keith, Johnny Oduya, Niklas Hjalmarsson and Brent Seabrook all average over 21 minutes on ice per game, with Canadian Olympian Duncan Keith equalling Chara’s statline of two goals and nine assists in 16 games. Boston is led up front by centre David Krejci. Krejci, native of Sternberk, Czech Republic, leads the playoffs in scoring, as he did in 2011 when the Bruins won the Stanley Cup. Second in scoring is winger Nathan Horton with 17 points, while leading the playoffs with a remarkable +21 rating. Horton, Krejci and linemate Milan Lucic are 1-2-3 in playoffs plus/minus, with a cumulative +48 ranking. The Bruins fourth line of Gregory Campbell, Dan Paille and Shawn Thornton has further endeared itself to the Boston faithful during the post season, with their physical play translating into positive results and both ends of the ice, as demonstrated heroically here. On the western side, Chicago forwards Marian Hossa, Patrick Kane and Patrick Sharp lead the team with 14 points each. Orono, Ontario’s Bryan Bickell has been a pillar of strength for the Blackhawks, tied for the team lead with eight goals, and good for second in the league. Kane announced to the hockey world who the Bruins’ opponent would be with his hat-trick, overtime winning goal in Game 5 of their series against the Kings.